1. When the Bible speaks of the coming of the Lord Jesus, is it speaking of death? 2. Does any man know the exact time of the Lord's coming? a) the times of the Gentiles is fulfilled." a) the apostles of the early Church. b) a falling away from the truth of God. 5. Should we stay under the teaching of those who deny the great truths of the Bible? 6. What do the prophetic signs tell us? 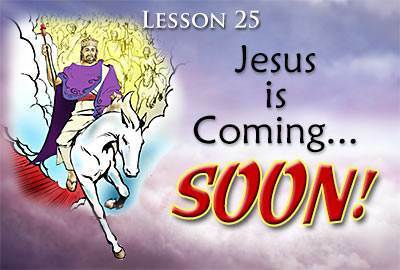 a) Jesus is coming soon. He could even come today. b) The return of Christ will not happen for quite some time yet. b) of terror and judgment. a) relaxes in God's grace and does what he wants. b) prepares himself for that day. b) by how we have used our time, our abilities, and our money. a) "our Lord is coming." 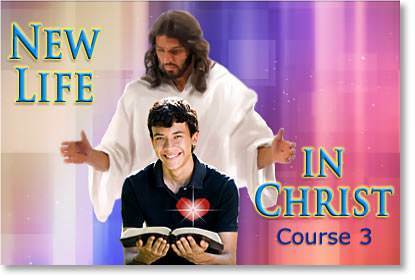 Congratulations on completing the New Life in Christ Course 3! If you have any further questions or comments, please send us a note by typing in the box below.